Florian Kresse (FK), Business Development Manager for DPA, interviews Kai Reiss (KR), audio engineer at the "Eurovision Song Contest 2017." In this interview, Kai Reiss reports on the use of various DPA microphones and his experiences in everyday production routine. 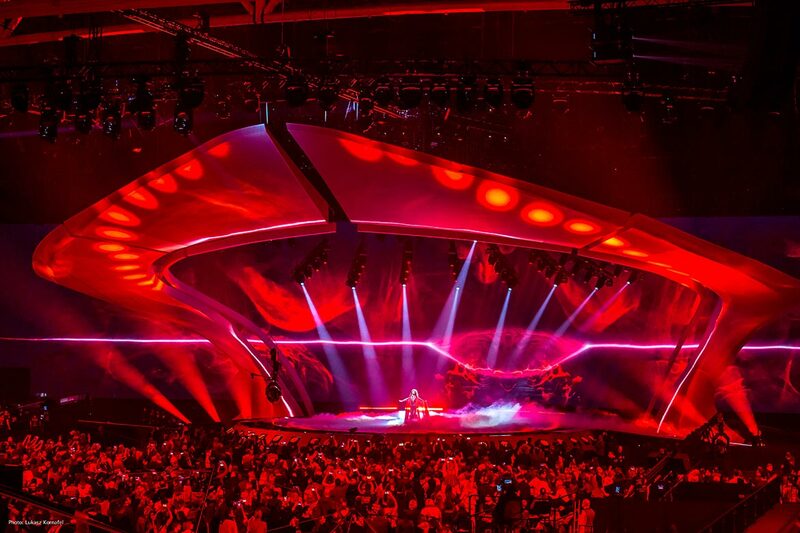 In use at the "Eurovision Song Contest 2017" were the vocal microphone capsule DPA d:facto, the miniature microphone DPA d:screet 4060, the headset DPA d:fine 4088, and the instrument microphone DPA d:vote 4099. 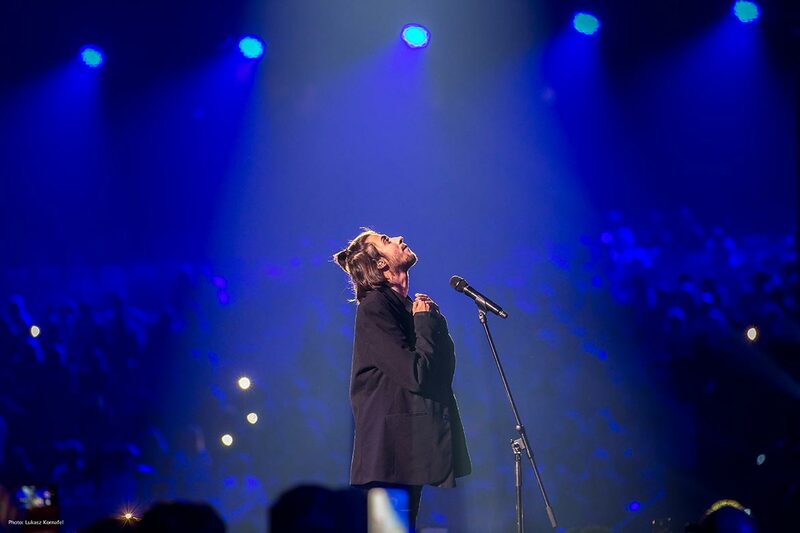 Read exciting and interesting insights into the everyday production routine of Kai Reiss at the "Eurovision Song Contest 2017." FK: Kai, please introduce yourself briefly to those who might not yet have heard of you. KR: My name is Kai Reiss and I live in the beautiful port city of Hamburg. I drifted into this industry gradually through music in the 1980s, where the industry at that time wasn't even anywhere near as industrialized as it is now, and the crews were in many cases made up exclusively of enthusiasts. I have mainly been making my living from a mix of audio engineering and system engineering since 1994, and added the areas of planning and design at the turn of the millennium. I was a production manager for audio for 12 years, first at Procon and later with PRG. There I was very fortunate to both be able to supervise many exceptional productions and to gather the corresponding international experience, as well as to meet many very good colleagues. Especially the last point is essential. Besides reliable technology, an excellent and select team in all areas is the most important factor for realizing such a production. FK: Many thanks. 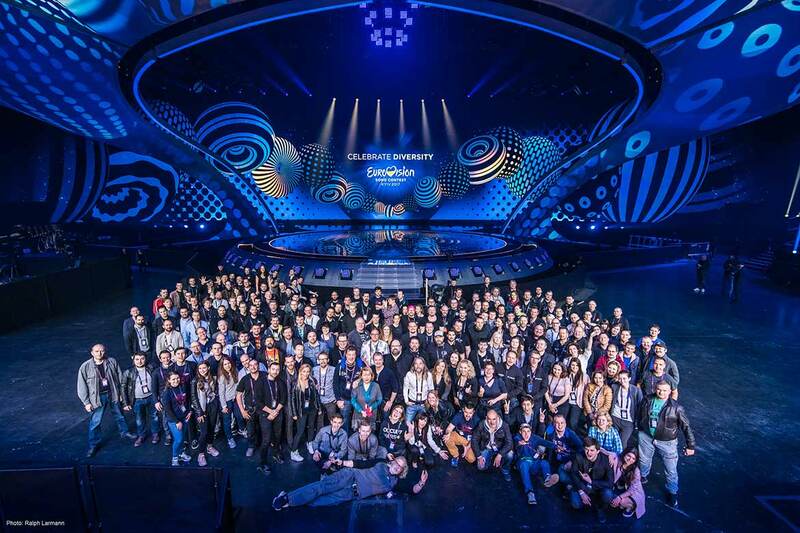 At the Eurovision Song Contest ESC 2017 you were responsible for the audio technical crew, both in terms of preliminary planning and for the realization on location in Kiev. How did that come about? KR: I had already supervised my first ESC in 2008 in Belgrade, also as Head of Audio, and was then active in Moscow in 2009 as FOH engineer, and since 2011 I have regularly looked after delegations at the ESC, including a Junior ESC as system-Engineer on Cyprus. At the end of January I then got a call from Executive Producer Pavlo Grytsak and the Head of Production Ola Melzig, asking whether I could join the production team at short notice. Time was short and results needed to be achieved quickly. The entire production, including all areas and all involved trades, is already extremely complex, and has also developed considerably since my first encounter with it in 2008. FK: Planning such a large production is surely an exciting challenge. What exactly was your task? KR: As Head of Audio, I was for one thing responsible for the entire technical audio planning and the creation of the necessary rider documents for the sound system of the show, as well as for all auxiliary areas and broadcasting. In addition to this, my team and I looked after preproduction of the multi-track stems, in order to for one thing create all multi-track sessions for the show and to also provide the required 2Tracks + time code for the pre-programming for the light department & video, for which programming had already started in the studio on March 13th in Hamburg. FK: Can you briefly describe the setup? How big was the audio crew? KR: During the critical phase, the audio crew was made up of around 30 people. We used a total of approximately 150 DPA microphones on site. We paid a great deal of attention to operational reliability and accordingly worked with a redundancy concept, but all of the components used worked reliably to the end. FK: That sounds very interesting. How did you arrive at DPA? KR: Lars Lüdemann from Mega Audio Sales Germany had already showed me d:facto in 2013 at the DEKT in Hamburg, and I was quite charmed with them from the very first encounter. 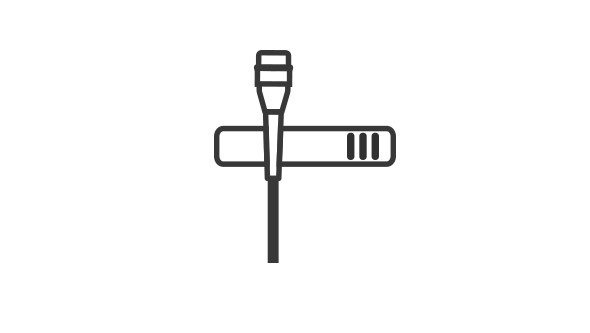 Since then I have happily and frequently used the d:facto, as well as d:screet 4060, d:fine 4066 and 4088, or d:vote 4099, which are among my preferred microphones for many applications. 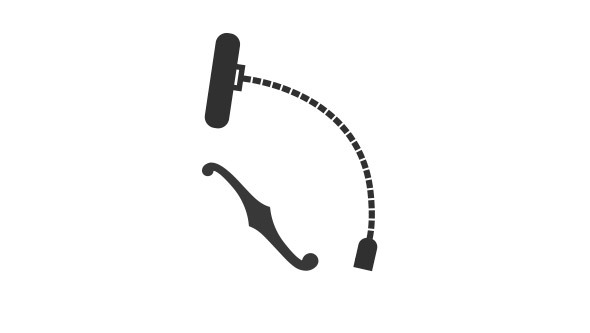 FK: Which microphones from DPA were used and to what purpose? KR: We used DPA d:facto capsules for all hand-held vocal microphones and DPA d:fine 4088 for all of those artists who wanted to use headsets. The hosts and opening & interval acts were equipped in this way. We also planned DPA d:vote 4099 with various holders for the latter. DPA d:fine 4088 was also used for the press conference in hall 1. We also used DPA d:screet 4060, with which several colleagues were equipped. These mainly served the purpose of allowing the LD at the FOH to follow the conversations of his colleague on the stage with the delegation regarding requests for changes. FK: Why did you decide in favor of DPA? KR: Primarily due to the excellent audio quality of the DPA components and reliability! The DPA d:facto is in my opinion currently the best and most flexible condenser capsule on the market. One big advantage is that, thanks to the available adapter, one can compile an ideal combination of capsule and transmission technology for the respective situation. FK: How many spectators/listeners were there this year? The sound in the arena has to be good. 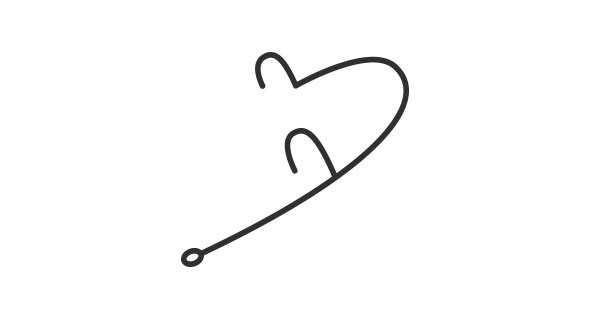 The artist has to be able to hear himself well, but of course the broadcasting sound is the most important thing. Is it even possible to say which mix is more important or has priority? KR: We had space in the hall for 11,000 spectators per show. There are three live shows for TV plus additional public rehearsals and approx. 200 million TV viewers. The first thing to consider, of course, is that we initially pay most attention to ensuring that the artists feel comfortable in the monitor, which is the prerequisite for a good performance on the stage, and ultimately for the overall result. This is followed by the broadcasting sound produced in 5.1, followed by the sound system; because the delegations already follow events live from the green room during the rehearsals in front of the stage, the sound system, in contrast with many other TV productions, is also given very high priority. In addition to the multi-track stems for the music playbacks, mix notes are also requested in advance from the individual delegations, in order to be able to create all mixes and effects as desired in advance. FK: Is there an interesting backstage story that one otherwise wouldn't hear; a hero, someone who saved the show, or did everything go as planned? KR: Ola Melzig promised a great "adventure" in advance - and, looking back, one can really see the production as such. There was no one real hero, so to speak, but the entire production team did a fantastic job over a very long production period. The fact that we have in some cases known one another and worked together for years of course makes the cooperation run smoother, as well as to make changes at short notice that need to be made across trades. Especially the cooperation of the international production team with the team around LD Jerry Appelt and all of the technical service providers went extraordinarily well. FK: Do you personally see another peak following such an exciting production experience? Do you have a "dream artist" or a production for whom or which you would like to work? KR: Of course, both in the special & sport events and in the concert touring areas! I like challenges and unusual tasks, both in the area of management and as an audio engineer, and I am happy to be able to work in this industry with its many facets and colleagues. FK: Many, many thanks for your insights into this very special production.